Police have arrested a mother in Virginia. She was charged with no crime. There was no warrant. 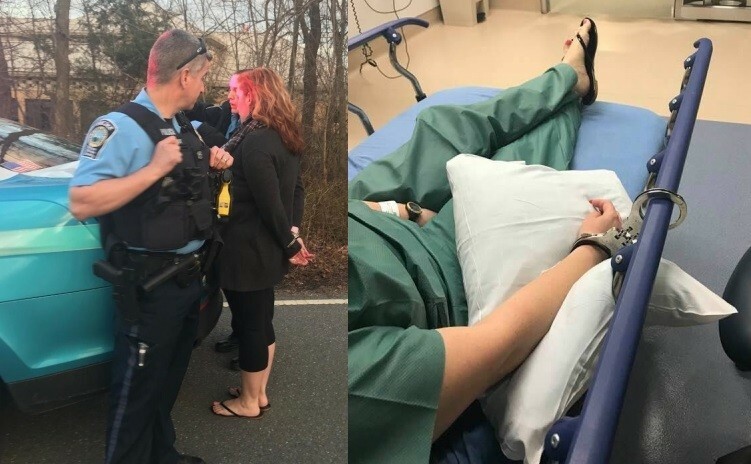 Tara Chapman, who has a mental health disability, was reportedly dragged out of the house, placed in handcuffs, and taken away in a police car yesterday, March 7, 2018. She was taken to a mental health facility where she was handcuffed to a hospital bed. Whitney Manning is her mother, and she has been fighting Tennessee's Child Protective Services for her daughter and grandchildren for several years. She is terrified for the very life of her daughter. Attorney Connie Reguli told Health Impact News that she believes that Tara's arrest was "all retaliation" for their story being exposed. She said that Tara was not a threat to herself or to anyone else. "She was TRULY medically kidnapped. They are treating her like a criminal. This is true abuse of the mentally ill." Tara Chapman had graduated with honors from college and had a teaching degree. The Tennessee Department of Children’s Services (DCS) became involved during a time when Tara was being abused by her sons' father. She had struggled with depression and bipolar disorder to some degree before that, but her children being taken literally drove her crazy. Now, after exposing her story to the public, a court has removed her mother as her guardian and placed under the custody of the State, and her family does not even know where she is located.